You most certainly know someone taking fish oil pills—those fishy, translucent gold capsules—for their purported heart benefits. But evidence continues to mount that fish oil might be snake oil. At the very least, it doesn’t pack nearly the punch we once thought. Instead, it’s probably just worth eating actual fish, which is loaded with plenty of healthy vitamins and minerals. A new study found taking fish oil supplements ineffective in preventing the surgically-produced blood vessel access points used for dialyses treatments from failing. This sounds niche, but unlike other fish oil studies we’ve reported on, blood vessels are the exact wheelhouse scientists thought taking fish oil supplements would make a difference in. 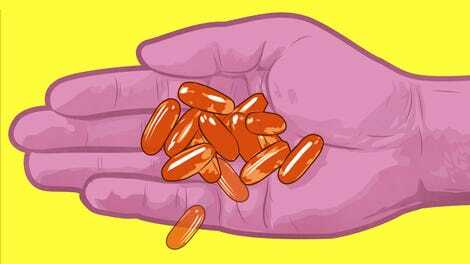 The research highlights a continuing trend: Despite their popularity, fish oil pills and their so-called omega-3 fatty acids don’t seem to be holding up to scrutiny. “Based on the preponderance of evidence,” wrote Gregory Curfman, editor in chief of Harvard Medical School’s Harvard Health Letter for the Journal of the American Medical Association, “there is reason for skepticism that omega-3 fatty acid supplementation is effective” in preventing cardiovascular disease. The latest study to reach that conclusion was simple. The researchers wanted to see if fish oil would prevent fistula failure—failure of holes surgically created to access blood vessels that are clogging up. Fistula failure is one of the main causes of death in dialysis patients, who need their blood routinely filtered to remove waste, the scientists wrote in their paper published in this month’s Journal of the American Medical Association. The team randomized 576 patients to receive either a placebo or fish oil for twelve weeks after receiving their fistula. Some patients also received aspirin, but it didn’t matter. There was little difference between the groups in the number of failing fistulae. So, what the hell is going on in the $1.2 billion dollar fish oil industry? Last year, we reported that fish oil has been accumulating negative results—only two of at least two dozen studies reported any benefit from fish oil supplements. Curfman explained that a pair of older trials from ten and twenty years ago established fish oil’s cardiovascular benefits but didn’t include a placebo control. And the placebo effect, of seeing a benefit simply because the patient thinks there will be one, can be very powerful. Placebo-controlled trials since then have cast doubt on results of the first two studies. I asked Alejandro Marangoni, lipid expert at the University of Guelph near Toronto, his thoughts on the matter. He was surprised by the results—he expected to see a positive effect of fish oil supplements—but pointed out one caveat. 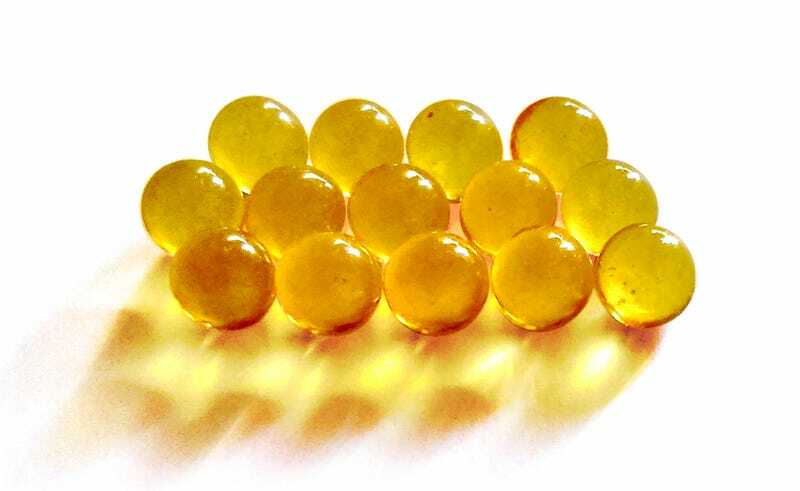 The oil in many of the fish oil pills could be oxidized, or spoiled. “If the health benefits are not there and on top of it all we are consuming a lot of rancid, oxidized oil, this could represent very negative health effects,” wrote Marangoni in an email to Gizmodo. So, what’s next for you fish oil guzzlers? Scientists behind another clinical trial called VITAL, scheduled for completion in December, 2017, are giving fish oil and vitamin D supplements to over 25,000 people in order to check whether the two, either separately or in tandem, reduce a person’s likelihood of developing cancer and other diseases. Until then, Curfman still recommended trying to eat fish at least two to three times a week, on top of the standard recommendations: Exercise, eating healthily and not smoking.